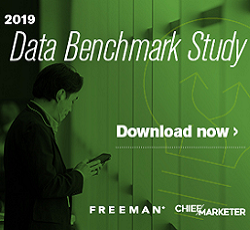 Keurig is embracing social and experiential tactics to promote the brand on campuses, featuring a tailgate tour, product sampling and discounts. The coffee and brewing system maker was purchased by Green Mountain in 2006 and offers about 290 different beverages from 50 different brands. College students rely on their friends’ opinions when making decisions, and have easy access to those friends both in person and via social media 24/7, noted Darren Ross, executive vice president, solutions, at Fluent Group, which works with Keurig. “They’re not alone very much,” he said during a session at Hubspot’s Inbound 2014 event in Boston. And when they are “alone,” doing something like watching TV, they’re still talking online with friends about what they are watching. This makes socially charged experiences a must for connecting with this audience. To reach customers in the college marketplace, the brand focused on the Mini Plus Brewer, which was small enough to easily fit in a dorm room. 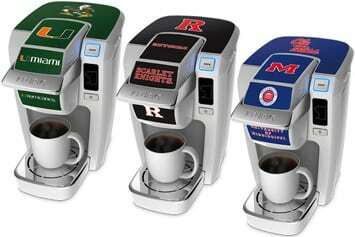 It customized the brewer with decals for different schools, to help make the brand more relatable both for current students and alumni, said Lizzie Manganiello, a senior PR specialist for Keurig Green Mountain. The Keurig College Tailgate Tour features 70 events planned on 30 campuses to showcase the brand and get students and their parents involved. A targeted website, BrewSomething.com, is customized to stops on the tour, letting people in the area know about campus events and specials, as well as products and coffee flavors available locally. The events feature games like a “beat the clock” K Cup pack dig, memory games and a “pack toss” into an oversized Keurig brewer. Brewers are also sold on site at the events with a 40% discount. Former NFL players who went to the school also sometimes appear at the tailgate to sign autographs and play games with students. To promote the brand to the market online, football great Emmit Smith will be appearing in a series of videos showcasing “What Emmit Does While He Brews,” featuring fun things Smith can do in a minute while his coffee is brewing. Keurig also works with college ambassadors on campus to spread the word. Thirty students at 15 universities promote the brand, running events, and demos, creating targeted social promotions, offering sampling opportunities and dropping off “surprise and delight” brewers in dorm kitchens. A mobile college and holiday tour featuring a wrapped motorized cooler-scooter is also planned. The cooler equipped scooters can brew both hot and cold beverages for sampling, and two person teams will hand out Spotify memberships and offer one-day specials.